Bordeaux. The region is one of the largest, if not the largest, in the world. If Bordeaux were a country, it would rank 5th in wine production on its own! That’s a lot of wine. And while Bordeaux is often associated with expensive bottles meant for decades in the cellar, the majority of Bordeaux wine is meant to be drunk young and enjoyed with food. Geography: Located off the Atlantic Ocean in southwest France, Bordeaux is most often separated into two parts –the right bank and the left bank. On the left bank, Cabernet Sauvignon rules, and the Médoc region hugs the west side of the Gironde river. Within the Médoc are the four top communes of (from north to south) St.-Estèphe, Paulliac, St.-Julien and Margaux. These communes make some pretty sought-after red wines from chateaux with big names. Being that the main grape is Cabernet Sauvignon, the wines are fairly tannic and muscular. Below the Médoc, following the river as it turns, lies the Graves region. 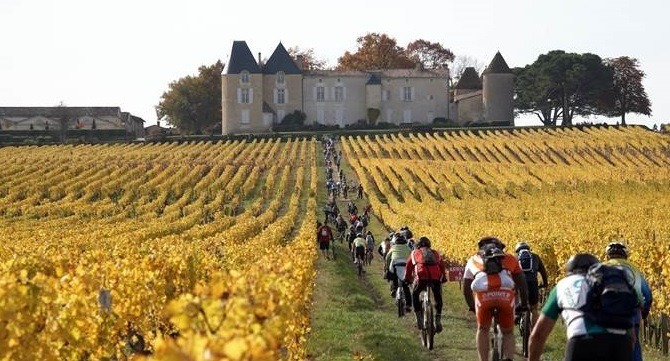 Named as such for its gravelly soils, Graves is home to some top white wine regions like Pessac-Léognan (for dry whites) and the sweet wine regions of Sauternes and Barsac. The right bank of Bordeaux is where Merlot and Cabernet Franc shine best. Merlot is typically used more in the blends, which means the wines of the right bank are often slightly softer and rounder than the left bank Cabernet-based wines. 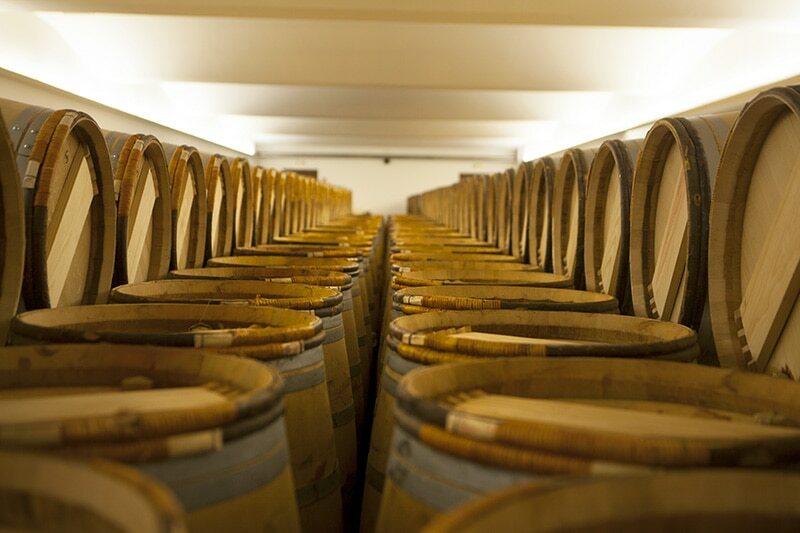 The heart of the right bank is the city of St.-Émilion and the wine region that surrounds it. Next door is Pomerol, a small but intense red wine producer. Other areas include Côtes du Bourg & Côtes du Blaye, Fronsac & Canon-Fronsac, and Côtes de Castillon. Bordeaux has other regions that are making wine – some of it great value! Hailed as one of the top wine producing regions in the world, Bordeaux typically brings to mind bold red wines worthy of the cellar. But the white wines of Bordeaux are not to be overlooked. These bottles should have a place on your dinner table and at parties all summer long! These wines offer a diverse selection, from bright and easy-drinking to complex, layered, and age-worthy. If you’re hesitant to try whites from this dominantly red region, you should know that until relatively recently, up to 60% of Bordeaux vineyards were planted to white grapes—reds only came to dominate plantings after a devastating frost in 1956 wiped out most of the white grapevines. While frost destruction was the catalyst for change, the move to more red grape plantings was due to a combination of factors including market demand, better soil-grape matching expertise and the desire to move away form the production of high volume base wines for the spirits industry. The good news here is that though white wine production may be limited, the attention to detail and dedication to selecting vineyard locations with suitable soil types and mesoclimate make the wines noteworthy. Furthermore, over the past decade or so, producers have been making productive changes to combat issues of oxidation and insufficient aromatics in their white wines. One important change has been improved canopy management, meaning each vine bears the appropriate number of grapes, and these grapes get to see the right amount of sun at the right time. What does that do? It creates healthier grapes, and as well all know, healthier grapes make better wine. 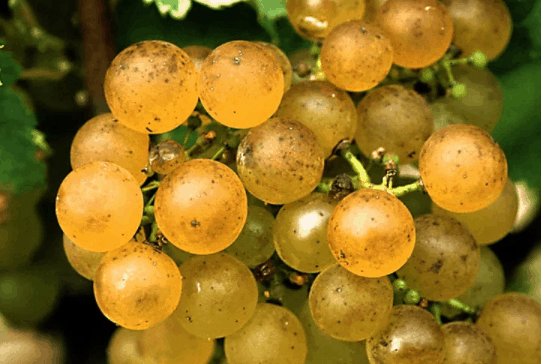 Once these healthier grapes enter the cellar, producers focus on keeping fermentation temperatures low, which preserves the fresh aromatics and acidity of the grapes, which is particularly important for Sauvignon Blanc. In summary, the white wines of Bordeaux are thriving due to the use of healthier grapes and better winemaking techniques. Bordeaux – the largest appellation of them all! Some of the prestigious red appellations cannot be used on the labels of white wine, so you may just see “Bordeaux.” Many Bordeaux-appellated whites are simple and easy drinking, while others are more complex and noteworthy. Be sure to read the descriptions for these wines, as they could be light and fresh or more mineral-driven and intense. While both are delicious, the appellation itself is so diverse, it’s important to educate yourself before you buy. Entre-Deux-Mers – Fresh, easy drinking, and value-oriented, white wines of Entre-Deux-Mers (which means between two seas) are the style you want to sip as an aperitif on a hot summer day or with fresh ceviche. Typically dominated by Sauvignon Blanc, these white wines are all about refreshing acidity and lively fruit flavors. Graves – Named for the gravelly soils of the region, Graves is ideal for producing complex, often age-worthy white wines. With mineral-tinged notes paired with complex fruit and floral notes, these wines are ideal for accompanying a meal and often benefit from a few years in the bottle so the flavors can integrate. 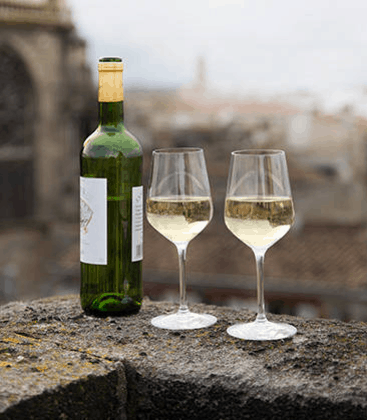 Pessac-Leognan – The cru-level white wines live here, in a small region within Graves. This is where you see higher prices and higher quality. You may call these cerebral wines—not always easy to define in their levels of nuance, but certainly worth sipping to try to find out! These are perfect for a special meal and can easily enjoy some time in the cellar. Bordeaux is a classic region, home to classic wines. So often seen as unattainable, or even undrinkable, the wines of Bordeaux are slowly overcoming these misconceptions in the wine world. While serious wine collectors tend to focus on high-priced futures intended to be cellared for decades or on the rich, honeyed sweet wines of Sauternes, it is certainly possible to find both aged Bordeaux and ready-to-drink young Bordeaux at affordable prices—you just need to know what to look for.